Proudly serving Western and South Central Kentucky! 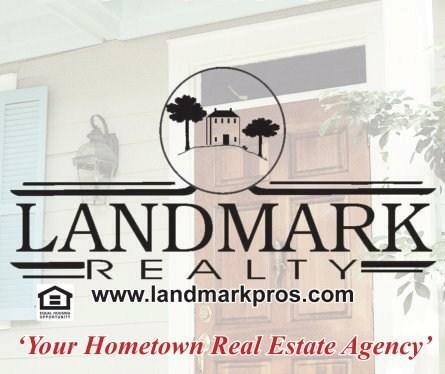 Remember when buying or selling to find an agent that has your best interests at Heart and at Landmark Realty that's what we do. We serve several counties of Western and South Central Kentucky and are a full time Real Estate and Auction Company that will work hard to help you achieve your Real Estate goals and be committed to you during the buying or selling process. A Company you can trust with honesty and integrity to help. Just like a good Friend would when you need them. Being a Professional Real Estate and Auction Company that still believe in small town values that include honesty and fair dealing with all our clients and customers. 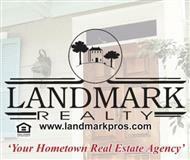 We understand that when your buying a Home or other Real Estate. This could be one of the largest investment you may ever make in your lifetime and we take that job very seriously. We want to help you find the right Property with no high pressure and no hidden agenda. Just honest work to put buyers and sellers together for the common good of both parties involved. Our Company - Lists - Sells - and Auctions - Homes - Country Estates - Land and Farms, so whether your interested in a Home - Hunting -Fishing - Boating - Agriculture - Business - Commercial - Cattle or Horse Ranch - Row Crop Farm -Hobby Farm. Buying a Home or just simply looking to buy Land to build that Dream Home You have always wanted. The perfect tract of Land to Hunt for Deer and Turkey or just a private get away place. We can help You find the - Home - Land - Farm - Lake - Recreational Property - that suits your own special needs, desires, and interests in our area of - Butler - Warren - Muhlenberg - Logan - Ohio - Grayson - Todd - and all surrounding Counties in Kentucky. Were a HUD and other Lender owned brokerage and can assist you in buying foreclosed property in this area of Kentucky as well. We also provide full Auction Services for Real Estate and Personal Property. Call us for all your Real Estate and Auction needs. Contact us when your in the market to buy, sell or Auction a - Home - Farm Land - Hunting Land - Recreational or Investment Property - Our agents are here to help you buy or sell and can also help you locate acceptable financing from several different type of lenders.